The NZ Posts are finally up! The queue when I started! 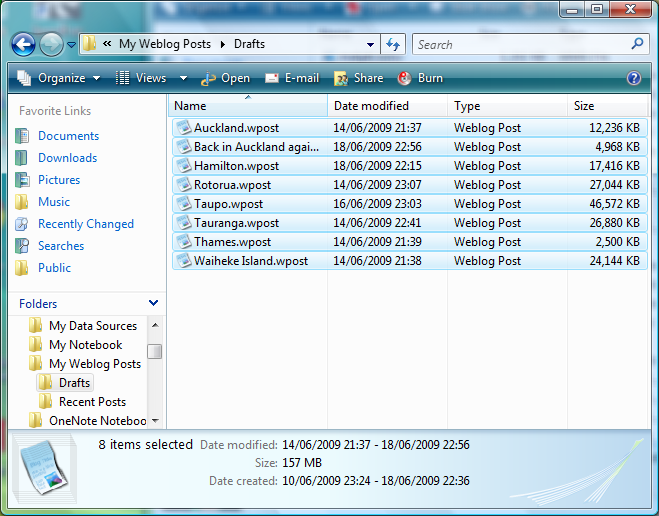 I’ve got all the New Zealand posts up now, phew! I didn’t get a single post about NZ, other than complaining about the lack of internet access, up here while I was in NZ! There are so many I have (temporarily) increased the number of posts visible on the front page of the blog to 15. Wow, what a lot of writing I do.